Huawei's first phone with an in-display selfie camera is here - the nova 4. The nova 4 has two key features - the 25MP selfie camera embedded into the display and the triple camera setup on the rear, which is different depending on the model you get. The High Model nova 4 comes with a 48MP f/1.8 main camera, which is mated to a 16MP f/2.2 ultra wide-angle snapper and a 2MP f/2.4 depth sensor. The Standard Model nova 4 comes with a 20MP f/1.8 main camera, the rest remain unchanged. In either case, the in-display (or punch-hole) camera is a 25MP f/2.0 shooter, which appears to have a smaller diameter hole than Samsung's Galaxy A8s' selfie snapper, but that remains to be confirmed. That camera is embedded into a 6.4-inch 2310x1080px IPS LCD. The nova 4 is up to date with Android 9.0 under EMIU 9.0.1. 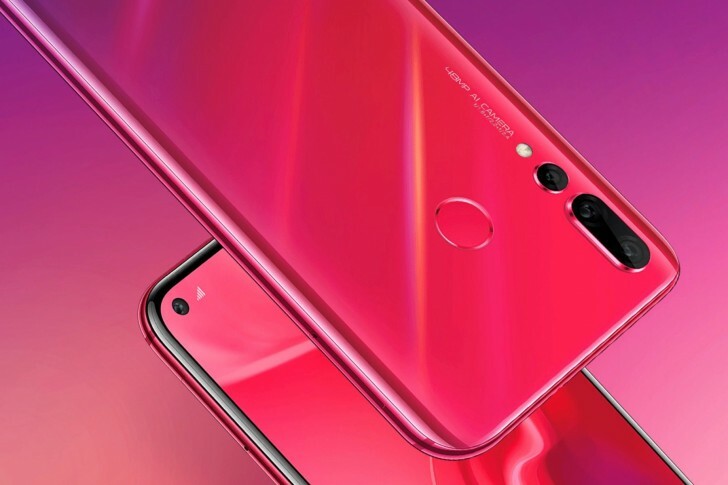 The Huawei nova 4 has a 3,750mAh battery (with 18W fast charging), 128GB of onboard storage and the same Kirin 970 chipset as the Huawei P20 family but coupled with more generous 8GB of RAM. 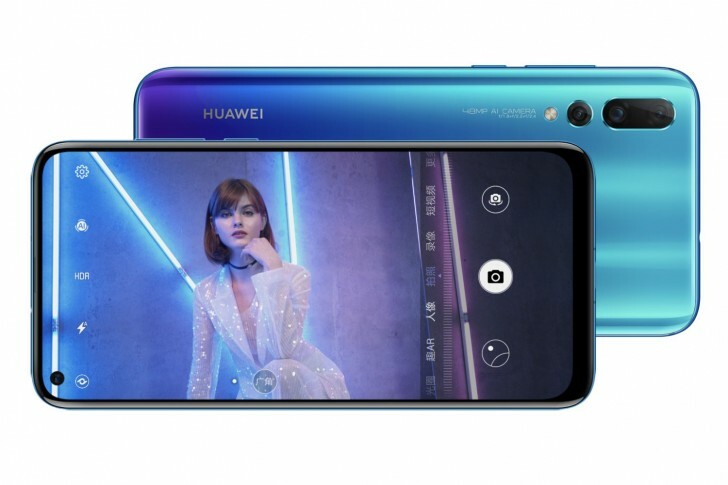 The Huawei nova 4's High model with a 48MP camera will launch in China first, priced at CNY 3,400 (~€435) while the 20MP Standard model will command a price of CNY 3,100 (~€400). I doubt it's anything extraordinary. They were just lucky some prick actually granted them a patent.